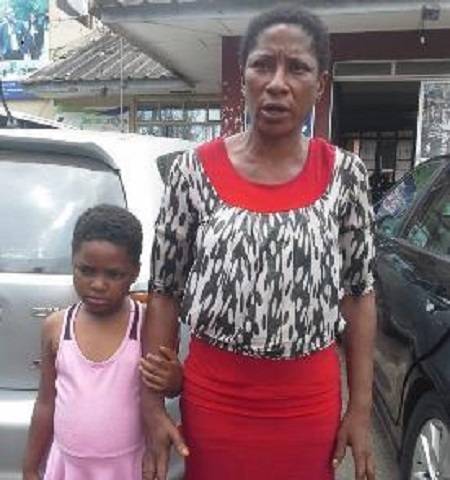 Mrs. Chioma Ibeh and her six-year-old daughter, Rita, who were found wandering around 11 pm last Sunday at Ijaiye-Owode community by the Oluwo of Owode Egba, Oba Kolawole Sowemimo, have been reunited with their family. Mrs. Ibeh and her daughter were reunited yesterday with their family, who came looking for them following a report about their plight and subsequent rescue by the Ogun monarch,the Nation reports. The duo, believed to hail from Oji River in Enugu State, were in the custody of the Ministry of Women Affairs and Social Development for two days. The ministry handed them over to their older brother and uncle, Mr. Cletus Ibeh, who was sent by the family from Enugu to take them home. According to Ibeh, the family members have been looking for them until they heard the media reports that they were found in Ogun State. “I came to Abeokuta when somebody told us that they saw her and daughter in the news. We have been looking for them for the past three days. I first went to Owode at the king’s palace and they told me they are in the ministry. “We are grateful to everybody, especially the media for the publicity. Only God will reward you (media),” Ibeh said.